Hyundai Motor India Ltd (HMIL), the country’s second largest car manufacturer and largest passenger car exporter organized the ‘Mega Experience Hyundai Program’ across India on May 22, 2016 while celebrating the 20th foundation year in India. The program aimed at giving a first-hand experience of the services, products and brand as a whole to the Hyundai customers. The campaign reached out to 15,129 customers across 567 locations in 324 cities. 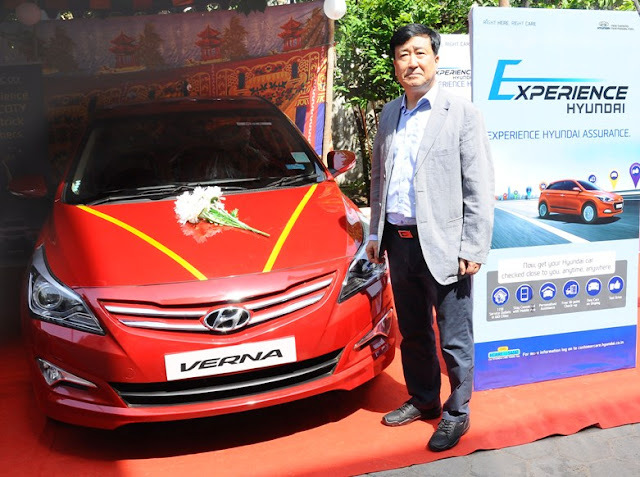 Inaugurating the program in Chennai, Mr. Y K Koo, MD and CEO, Hyundai Motor India Ltd. (HMIL) said,” The ‘Mega Experience Hyundai Program’ was an initiative to enhance and reinforce Hyundai brand association with our customers across India. As customers’ needs and preference are constantly evolving, we at Hyundai believe in understanding and innovating towards providing the best products and services to our valued customers. We are very happy to receive the overwhelming response from 15,000 happy customers in a single day. Such platform helps us come close to our customers and improve our service delivery and other initiatives. The program was spearheaded by all the senior officials of HMIL across the country. With an aim to create ultimate value and a firm commitment towards highest customer satisfaction, ‘Mega Experience Hyundai Program’ offered free 18-point check-up with exciting benefits to the valued customers at various convenient locations like parking lots, shopping malls, multiplexes, select residential blocks, etc. Mr. Y K Koo, MD and CEO, Hyundai Motor India Ltd. The customers also gained the value of ‘Experience Hyundai’ with engaging and interactive activities like face painting and games along with exciting benefits on car servicing, free car wash and test drives. Also special initiatives were taken to conduct free basic health check-up for the customers. Such programs will be organized continuously as a part of 20th Foundation year celebration creating greater values for our customers.